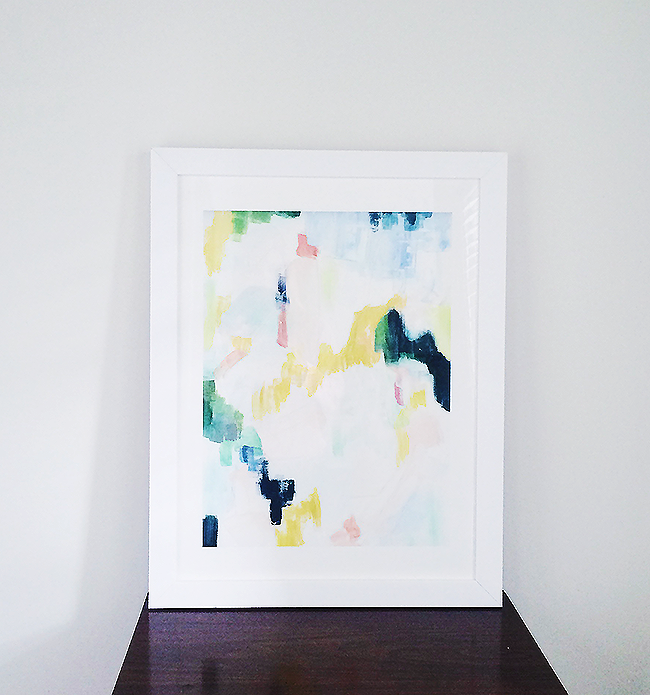 Did you know that the Minted website houses a marketplace of independent artists? I didn’t. I used Minted for our save the dates, 2013 Christmas cards, and 2014 Christmas cards—I’m pretty much obsessed with the company. But art? Had no clue. My friends at Minted reached out to me last month and asked if I might like to have a piece of my own. I quickly picked out my absolute favorite, this limited edition print by Melanie Severin called, “The Meadow.” I knew it would be a perfect addition to our baby’s nursery, whether we have a boy or a girl. I also am really kind of digging it in our foyer where I immediately placed it for this photo. Didn’t intend for it to stay there, but well, it has. Stay tuned for where I end up styling it for the long haul. 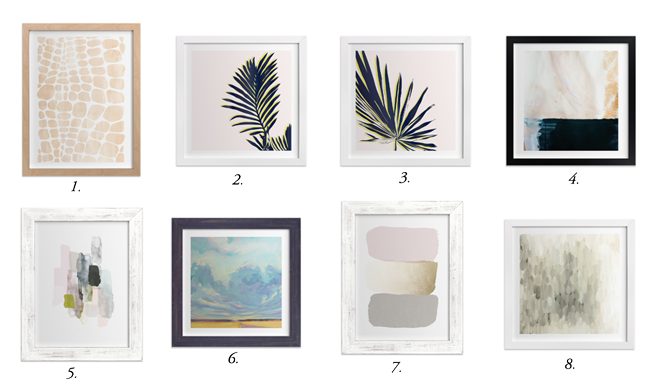 The great thing about the process of picking out art at Minted is that you can choose a frame too—and there are lots of options to choose from. If you’re like me, then you probably hate the idea of having to go out and get artwork framed. It’s so expensive! It’s just nice to have it all done in one fell swoop. You can view all items in the art marketplace here. I’m sharing some of my favorites below! Which one is your favorite? I love minted art! I am working with for the art in my dining room. There are so many amazing options!! Love what you chose. I absolutely LOVE no.7 so pretty! I love that first print. Where are your first heels from? LOVE them!!! PS Congrats!!! !